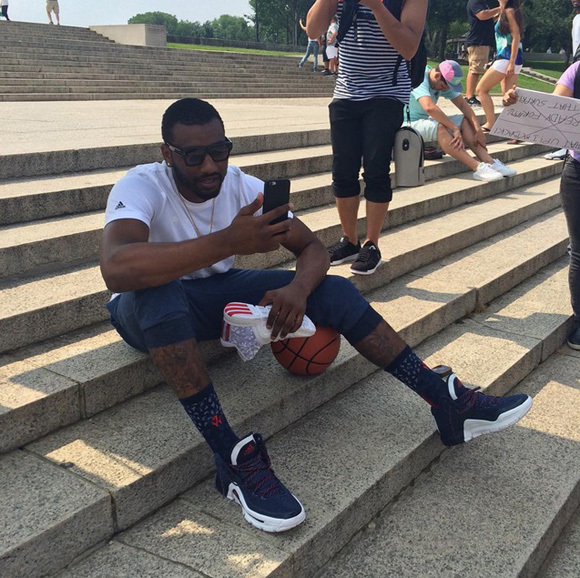 John Wall took over adidas Basketball’s Periscope for the day and while doing so decided to rock a fresh pair of his adidas J Wall 2. The pair he’s wearing looks pretty cool, but the all red pair that was leaked a few days ago…not so much. Colorways are going to make this shoe for sure, but there are some cool tech aspects back in action. Looks like the new gen PureMotion is back in some sort of way and they’ve added adiPrene+ in the midsole for cushion. 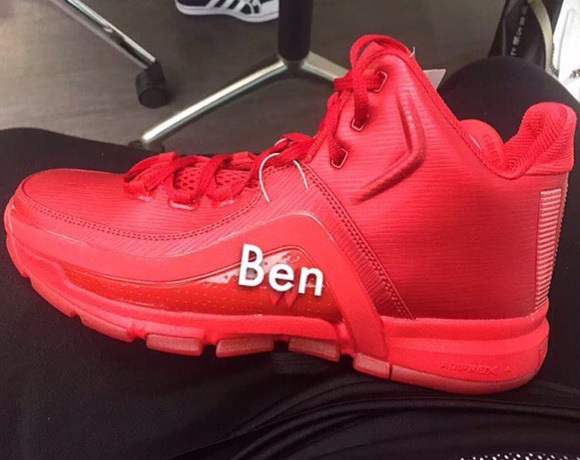 Hopefully they feel like the D Lillard 1 in terms of cushion because those were pretty damn comfy. 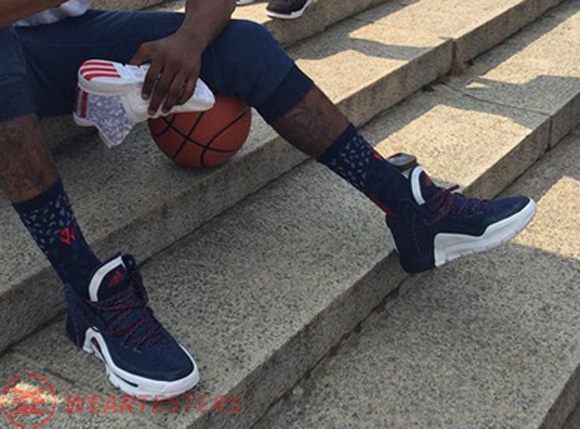 Check out the pics below and let us know what you think of the adidas J Wall 2. They look like they’d perform well. Ok oddly I got to try these on through finish line. Yes the red pair looks better in person its seem less, adiprene continues seeming wonderful after boost came out I know adi prene is put together and firmness vs nouncey cushioning its cool I heard bounse was going to be the new pods for puremotion. These have pure motion. It’s hard for me to say better than D rose 4 because that amazing cq traction became invincible so the wall line has officially got going w the two puremotion great options if oy were Nik its beyond hyper rev 15 hyperchase I feel a wing can wear it. It’s like rose line if there was no boost in many ways. Still true to John wall and the fastest two players w the ball. I would first impression rate a 8 I look forward to a on court try in the next few weeks. Nice job Adidas but more tech pure motion n range of motion are given I wore speedwraps w the rose 4 but still feel rose is a better bog brother. 1st time seeing the all red c/way,i said nah…but when seeing the navy/white c/way, honestly startg to like it..
dude has a gold chain of his logo……that’s a bit corny. 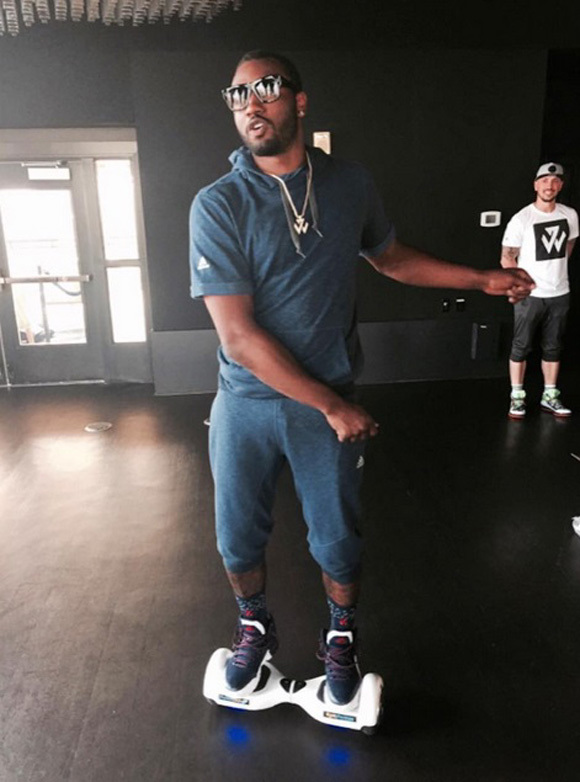 These look like a better and newer version of Air Jordan Melo M3!